Skyway Water & Sewer District | Welcome to Skyway Water & Sewer District! 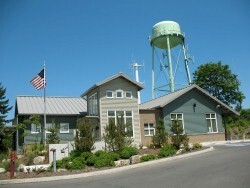 Welcome to Skyway Water & Sewer District! We're glad you're here and hope this website will provide you with useful information about Skyway Water & Sewer District -- your local water and sewer service provider. Skyway Water & Sewer District is a Special Purpose District located in the West Hill area of unincorporated King County. The West Hill area includes the neighborhoods of Bryn Mawr, Campbell Hill, Earlington, Hilltop, Lakeridge, Panorama View, Skycrest and Skyway. The District shares service boundaries with the cities of Renton, Tukwila, Seattle, and King County Water District #125. Skyway's service area is approximately 1.8 square miles for water (serving 3,350 customers) and 2.7 square miles for sewer (serving 4,050 customers). The District maintains approximately 40 miles of water mains and 48 miles of sewer system piping. As a local municipality, Skyway operates under the authority of Title 57 of the Revised Code of Washington. The District is subject to Federal, State and Local regulations. Three local citizens are elected to Skyway's Board of Commissioners by voters living within the District's Boundaries. The Board of Commissioners establishes District water and sewer rates, sets policies, and oversees operations. The Board meets regularly on the second and fourth Tuesday of each month at 6:00 p.m. All meetings are open to the public. Day to Day District administrative and operational duties are carried out by a nine-member staff along with consulting engineers and counsel. Make it a straight flush! Video credit to Seattle Public Utilities. 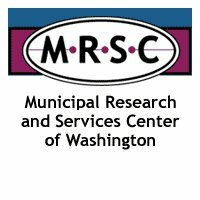 To continue eligibility to work on small public works projects or consultant projects please join MRSC Rosters for free at www.mrscrosters.org and select Skyway Water & Sewer District in your account. For more information about joining, contact MRSC Rosters at 206-625-1300 or mrscrosters@mrsc.org. In the Seattle area, sewer rates are complex as they include both local and regional components. Water quality standards in our region are some of the highest in the country. Sewage and wastewater is collected, transported, treated several times over, and emptied into Puget Sound at drinking water quality. Additionally, all bi-products of the sewage collection/treatment process (methane gas, reclaimed water, etc.) are harnessed and recycled for reuse and/or resale, including energy production and the like. All of this comes at a cost of course. But protection of our public health and environment is something that residents/voters in the Northwest take seriously. Most are willing to pay for the quality of life/environment that we enjoy in our region.